As different as the miracle of turning water into wine in John 2:1-12 seems from the cleansing of the Temple in vv. 13-22, I argue here that they make a similar theological point: Our sin problem is a problem deep within us, in our hearts. If we’re going to be saved, God is going to have to heal us there. The merchants and money-changers were literally putting tables and livestock in a space that was devoted exclusively to God. Their things were were interfering with the worship of God. What a fitting symbol of the problem that we all have! It wasn’t exactly “Snow-pocalypse 2016,” was it? I read on WSB that the metro Atlanta area got two inches of snow, but I certainly didn’t see that around my house! But Georgia was prepared this time: based on what I read, the governor and city mayors did a better job coordinating than they did a couple of years ago, the last time it snowed—when some members of our church were stranded on the interstates literally for hours. We all know that even a small amount of snowfall can disrupt our lives in powerful ways. It’s a small thing, but it has major consequences. And so it is with Jesus’ action of “cleansing the a Temple” in today’s scripture. It’s easy for us to miss how this seemingly small event disrupted the city of Jerusalem. Think about it. Today’s scripture takes place during Passover week. Jewish pilgrims from around the Roman Empire would come to Jerusalem during this holiest of weeks. The population of Jerusalem would swell from about 80,000 to half-a-million in one week. And when these pilgrims came to worship in the Temple, they needed to offer a sacrifice. And it’s not like a pilgrim would travel from Spain or Italy to Jerusalem with an ox or a goat or a pigeon; no, they would buy them once they arrived. And in order to do so—and in order to pay the Temple tax—they would need to exchange their currency, just like we do when we travel abroad. So as part of the Jewish sacrificial system surrounding the Temple, merchants were allowed to set up shop on the Temple grounds—in the outer court of the Temple, the so-called “Court of the Gentiles.” It was a great convenience to set up shop there, since Jewish pilgrims would have to go that way in order to get to the sanctuary, where priests would offer their sacrifices. So think about what Jesus does: He fashions a whip and drives away the cattle and livestock; he runs off the men with cages of pigeons; he overturns the money changers’ tables and drives them off. In terms or disruption, it would be like unexpected snowfall on I-285 at rush hour. The Temple would be closed for business—at least for a little while. It was disruptive… shocking… It attracted a lot of attention. In fact, let’s notice how different the “cleansing of the Temple” is from the event we looked at last week from earlier in the chapter: Jesus’ turning water into wine at a wedding in Cana of Galilee. It’s very different in so many ways, even though it took place just days or weeks later. For one thing, the wedding was a private event, and only a handful of people closest to Jesus even knew what he did. The cleansing of the Temple, by contrast, took place on one of the world’s largest stages; hundreds of thousands would know what Jesus did! At the wedding, Jesus was asked to do something to help; at the Temple he takes this action on his own initiative. At the wedding, Jesus makes dozens of people incredibly happy—after all, he literally keeps the party going! At the Temple, he makes thousands of people incredibly unhappy—like the disruption of an Atlanta snow-jam, he brings everything to a crashing halt. 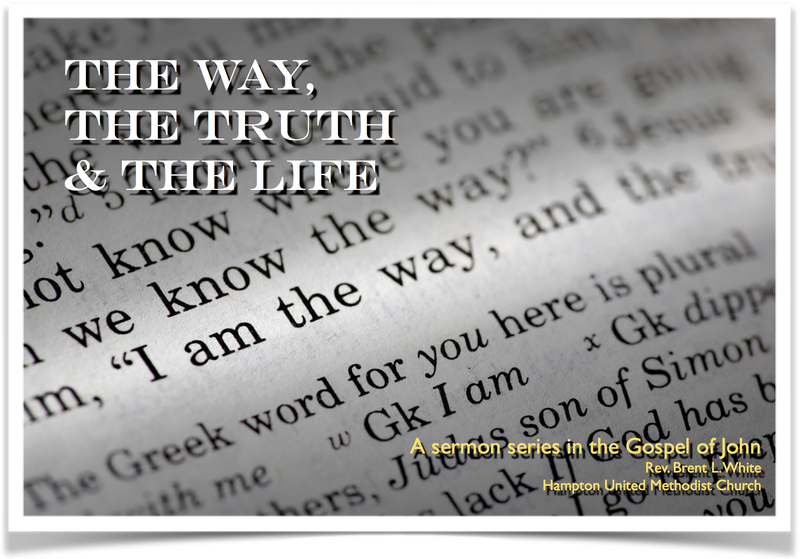 But what I hope to show you in this sermon, when we look below the surface at the meaning of these two events, well… we see that Jesus is making a similar theological point through both events. Why do I say this? First, let’s look at a part of the wedding story that we didn’t study last week: chapter 2, verse 6: “Now there were six stone water jars there for the Jewish rites of purification.” Jewish rites of purification. What’s that? The water in these jars would have been used by guests at the wedding—not for simply washing their hands before a meal, for hygienic reasons, the way we might—but to symbolically rid themselves of spiritual contamination, of sin. So we all know, for instance, that [fill in the blank] is a well-known sinner, and if you brush up against him in the marketplace, you will have contracted some of us his “uncleanness,” his spiritual cooties, so you want to symbolically wash away his sin from your body. That’s what these water jars represented. So if you’re spiritually unclean, you would perform this action to make yourself spiritually clean. Elsewhere in the gospels, Jesus gets into an argument with the Pharisees about this kind of ritualistic hand-washing. In Mark chapter 7, the Pharisees ask why Jesus and his disciples don’t wash their hands in this way before they eat—and thus “eat with defiled hands”? And what does Jesus say in response? He quotes scripture and says, “This people honors me with their lips, but their heart is far from me…” He then goes on to tell them that what defiles a person spiritually isn’t something from the outside—you know, if you eat with “defiled hands” then everything you put in your mouth is unclean and therefore you are made unclean. No. What defiles a person, Jesus says, is what comes from inside, from your heart—the evil words you say, the evil thoughts you think, and the evil actions you take. And in today’s scripture, he wants people to know that performing this ritual, sacrificing this goat or pigeon or ox or sheep—it can’t change the problem that’s in your heart! Notice also in Matthew he calls the religious leaders who ask for a sign an “evil and adulterous generation.” In other words, they are committing spiritual adultery. And so are the religious leaders in today’s scripture: The Temple is supposed to be a space that belongs to God exclusively—that exists for God’s glory, that exists for the sake of glorifying God. But they’ve literally put something else in that space, which doesn’t belong there. In an almost literal way, their love of money is crowding out their love for God. That’s greed, certainly. And it’s idolatry… And it’s spiritual adultery because they’re being unfaithful to God. Because they’ve put their trust in something other than God. But brothers and sisters, are we really so different from them? Do we hear Jesus’ warning in this scripture for us? If we’re not asking those questions, we’re not pastors or lay leaders or dedicated church members… We’re vendors selling livestock in the Temple, we’re merchants blocking the path of people who are seeking God, we’re money-changers… And we need to get out of the way! Maybe I’m speaking only for myself. But I don’t think so. So I recognize this about myself, and I’m trying to change the tone of some things that I’m involved in in church. For example, we had a finance meeting a couple of weeks ago, during which we planned our annual budget. And I began that meeting doing something I’ve never done before. I led us in singing a hymn. Specifically “Great Is Thy Faithfulness.” Because I wanted to remind myself—and everyone else—where all of our blessings come from, financial or otherwise. It’s not so much what we do that will ensure that we’ll have all the money that we need in this new year; it’s what God will do through his faithfulness. He’s in charge here, not us! We forget! I forget! So the warning here is for pastors and lay leaders and other church members… that what we all should be about is doing the work of God’s kingdom. Even if, by the way, that means changing the way we do things sometimes—because the way we did things 30, 40, 50 years ago may not work today. I’m preaching to myself, too. I promise. One of the bitterest lessons, which God has to teach me, and re-teach me, time and time again is this: “Brent, what you’re supposed to be about here is winning men and women, and boys and girls, to the gospel of Jesus Christ.” See, in the hustle and bustle of church life I sometimes forget this. I forget that it’s about winning people to Christ, and instead think it’s about winning my point; winning my argument; winning my case; winning my cause; winning for my team. Proving that I’m right, and you’re wrong—that we’re right and y’all are wrong. In other words, it becomes about me. I make it about me. My ego is an idol every bit as much as money is for some people. But don’t worry: God has this persistent way of stomping my ego flat. And I’m here to tell you that that is a great, although painful, kind of blessing. But Jesus’ warning here isn’t just for us as a church. It’s for us as individual Christians as well. Especially when we remember what the apostle Paul says: that our bodies are now “temples of the Holy Spirit.” In ancient Judaism, the Temple was the place where God was especially present to his people. But just think: God the Holy Spirit is literally living inside our hearts now. We are the Temple. So the temptation to crowd out God in the “temple” of our hearts is just the same as it was for these religious leaders. Our hearts are a space where only God belongs; but we put other things in that space. What is the Golden Globe in your life? You probably have one. What is that thing in your life that you think you need to fill you up, to complete you as a person, to make you whole? Anything or anyone other than God is an idol that’s crowding out that place in your heart that belongs exclusively to God! When Jesus says, “Destroy this temple and in three days I’ll rebuild it,” he’s reminding us that through him we have enough; in him we are enough. Because he’s done everything for us. Because he’s given us everything we need! Earlier I said that Jesus was showing through the miracle at Cana that these “purification rites” are unnecessary: At best, they can only point to the One who has the power to purify us from all sin. In the same way, by disrupting the sacrificial system in today’s scripture, Jesus is showing us that sacrificing a goat, an ox, a lamb can only point to the sacrifice of the Lamb of God who takes away the sin of the world. You know what proves your worth, your value as a human being? That our Lord Jesus Christ, the Word made flesh, true God from true God, willingly let himself be destroyed so that you could be saved! He did that for you and for me. You say, “I’m not worthy.” What are you talking about? You’re worth an infinite amount to the only One whose opinion matters because God paid an infinite price—his very life on a cross—in order to redeem you, to save you, to make you his child, to give you eternal life. This entry was posted on	January 26, 2016 at 9:51 am	and is filed under Uncategorized. I have been a “member” of several churches over my geographically diverse lifetime. I bounced back and forth between Methodist and Presbyterian. (wife was raised P, and I was raised M). My church experience has been generally good, but never very deep. About 15 years ago I began small group Bible Study. This fellowship experience with other serious seekers has changed my life. I believe it is because I finally put God’s Word first. The preaching on Sunday is now only powerful, for me, when it is fully empowered by the exposition of God’s Word.